On 18th Dec 2012, TAN CANG LOGISTICS AND STEVEDORING JOINT STOCK COMPANY (TCL) held The Customers’ Appreciation Party. This was an oppoturnity for TCL to express thanks to the Customers, the Shipping lines, the Customs and partners who have supported TCL during the years, to update the latest information with regard to the business outcome, the investment projects and development of new facilities and services implemented in 2012 as well as the objectives for the upcoming years. 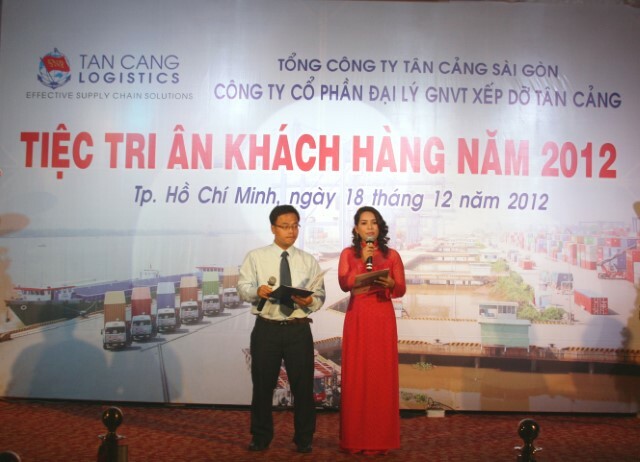 On Nov 30th, 2012, Tan Cang – Song Than ICD (TC - ST ICD) organized The meeting to thank customers & announce the completion of the business results 2012.Attending the conference, there were the representatives of Binh Duong People’s Committee, Binh Duong Customs Department, Saigon Newport Corp. & its Subsidiaries and Customers, vendors and press representatives. Established in July 2012, Logistics center of the SNP (SNP Logistics-SNPL) has stabilized their structure & activities, attracted more & more customers. After 5 months operational, SNPL has promoted it co-ordination role for the services of the SNP’s subsidiaries. In the initial stage, SNPL has gained the market share and has been supported and highly appreciated by customers. On 20th December 2012, Tan Cang Warehousing Joint Stock Company (Tan Cang Warehousing JSC) formally organized the Customers’ Meeting 2012 in Cat Lai terminal. The event attracted nearly 300 guests representing for Forwarding companies, shipping lines and SNP, Customs and SNP vendors. 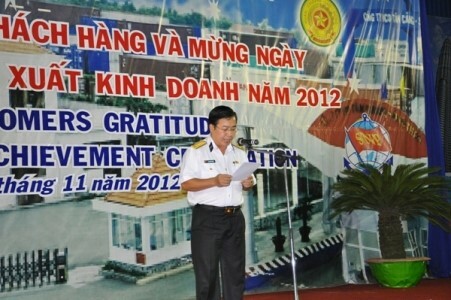 On 11 January 2013, Phuc Long ICD held “Customers’ thank -you party”. Attending the party, there were the representatives from SNP, Tan Cang Number 1, Tan Cang waterway transport JSC, Giang Nam CO., LTD, and representatives from Customs, port authorities and from the ports and ICDs in Ho Chi Minh City and Cai Mep area and the representatives of the shipping lines and customers who have supported and helped Phuc Long ICD. In 2012, thanks to the good support & co-operation of shipping lines and customers, Tan Cang - Cat Lai reached 2.87 million TEUs, a year on year increase of 10.5% . 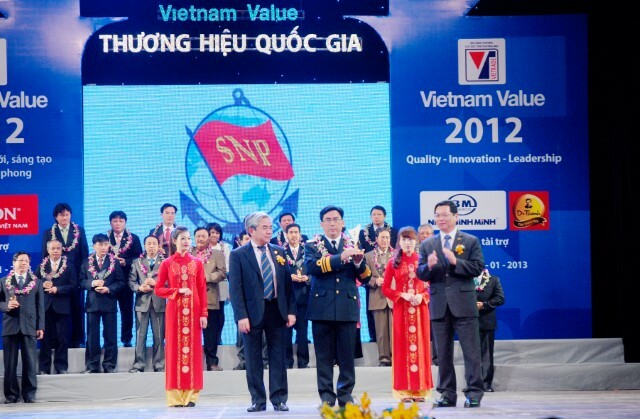 On 07/01/2012 Saigon Newport Corporation was honored to receive the award "Vietnam Value 2012" awarded by the National Brand Assembly. This is the only Award approved by Vietnamese Government based on the evaluation criteria and rigorous selection process that Vietnam aims at during the integration process nowadays : Innovation quality - Creativeness – pioneer Capability. SNP IS GRANTED THE CERTIFICATION OF THE BRAND NAME PROPRIETARY FOR "TÂN CẢNG"
On 22nd July 2012, Saigon Newport Corporation was granted the certification of the brand name proprietary for “Tân Cảng” (Newport). The Certificate No 190836 has been issued pursuant to the Decision No. 49520/QĐ-SHTT dated 05th Sep 2012 & validates until the year of 2022. 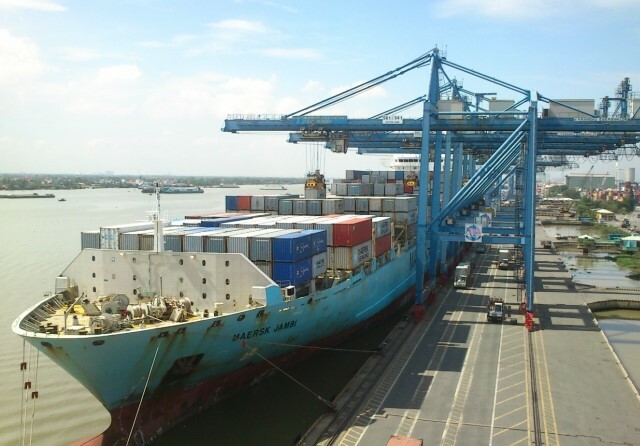 On November 21st 2012, Tan Cang- Cat Lai Container terminal successfully received and handled the ad-hoc vessel of Maersk Lines namely Mearsk Jambi which has the deadweight of 35.556 tons (LOA 224).